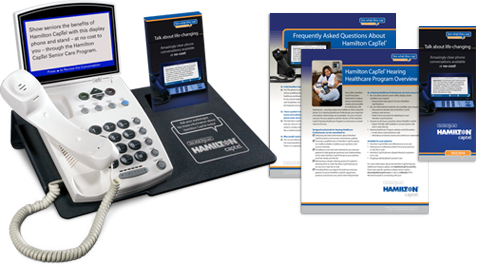 If you or someone you care about has difficulty hearing on the phone – Hamilton® CapTel® is a simple solution. 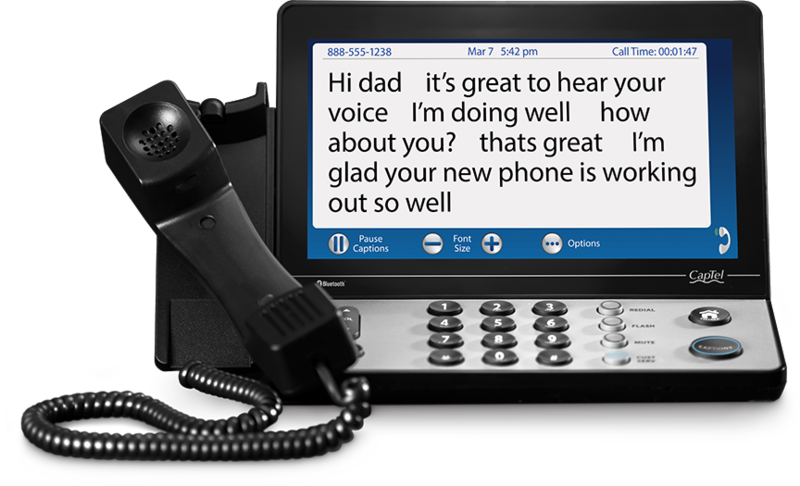 Designed exclusively for individuals with hearing loss, the Hamilton CapTel Phone works just like any other phone. When the phone rings, you answer it. When you want to make a call, you dial the number. The clear difference: With Hamilton CapTel, you can listen and read word-for-word captions of everything said to you over the phone. Learn More About Hamilton CapTel Today! Since 2003, Hamilton CapTel has made more than 100 million captioned telephone conversations possible for individuals with hearing loss. As a professional, this is the kind of proven captioned telephone technology you can count on and recommend without hesitation. Keeping seniors connected with family, friends and healthcare professionals is what the Hamilton CapTel Senior Care Program is all about. From senior living communities to aging in place home care, the Senior Care Program has a simple solution to keep your patients and clients talking on the phone with clarity and confidence. Hamilton® CapTel® for Business, Interconnected by Tenacity™ is available to individuals who experience hearing loss and have difficulty hearing on the phone while in the workplace. Hamilton CapTel displays captions of what’s being said on the screen of the Cisco® Voice over IP (VoIP) phone. 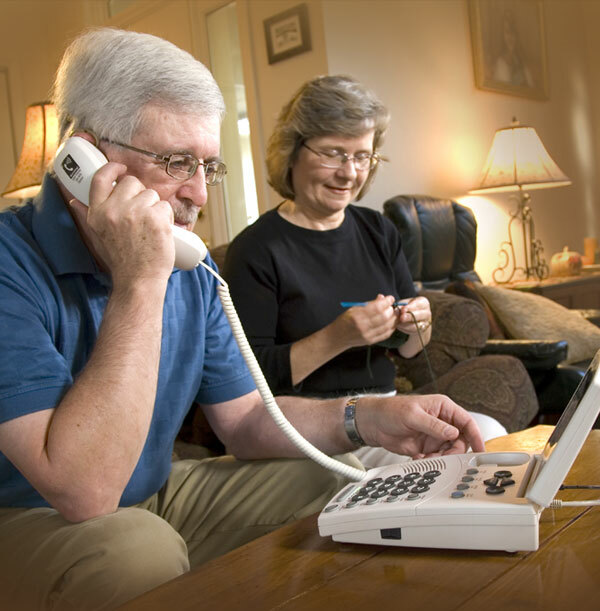 A new case study published by the LeadingAge Center for Aging Services Technologies (CAST), reveals that residents in senior living communities who use captioned telephones are less likely to experience the adverse effects of loneliness. If you need assistance, want to get up and running with a new solution or have a question about how to get the most out of your CapTel Phone, Mobile App, Web CapTel or Business solution, our Customer Care Team is standing by for you. Hearing loss is the number one service-related injury affecting veterans. Often overshadowed by the other challenges our service men and women face, hearing loss is nevertheless intertwined both physically and emotionally – as a trigger, a constant reminder or an everyday frustration. It is a very unique and personal challenge for many veterans. Heroes With Hearing Loss® – provided by Hamilton® CapTel® – is a platform of engagement, providing insightful solutions and successful lifestyle-focused results. 1Independent third-party professional certification required. Copyright © 2019 Hamilton Relay. All Rights Reserved. Hamilton® is a registered trademark of Nedelco, Inc. d/b/a Hamilton Telecommunications. CapTel® is a registered trademark of Ultratec, Inc.
To chat with a Hamilton Customer Care Representative, please complete the form below.